Lucas Ryan, Not for Profit policy advisor at the Australian Institute of Company Directors, explains why Australia’s Not for Profits need better regulation to help them flourish in competitive markets. Government no longer sees itself as responsible for solving problems. Increasingly, government sees its role as to facilitate the resolution of problems. It does this through curating an economy of solutions in which it is only one actor among many. Government identifies policy problems and enables others to participate in their resolution. The mainstay of this practice has been direct outsourcing of public services, such as aged care, to third party providers, both private and Not for Profit. The introduction of client-directed care in the disability sector through the National Disability Insurance Scheme represents the next evolutionary stage in this practice. The model is cost effective for government, provides users with greater choice and, ultimately, should result in better outcomes for service users. In this example, government is not going to an existing market, but creating a new one entirely comprising private and NFP vendors. For many, it is a brave new world, and while the benefits are well publicised, the potential risks have not been sufficiently explored. Government’s responsibility in these markets is to create regulatory regimes that support competitive but fair trading environments. However, while government is ambitious to realise cost savings in establishing such markets, it has been sluggish in creating an efficient regulatory regime that enables NFPs to compete on a level playing field. NFPs are subject to burdensome, out-of-date and unnecessary regulation in many areas. This represents a significant handicap in a competitive market and one which government would never dream of imposing on the private sector. This is not to say that NFPs are unlikely to succeed in open markets. In fact, NFPs have some natural advantages over their private competitors, but the reality is that while business has regulation that supports them to be agile and competitive, NFPs do not. The prevailing view within government appears to be that NFPs require specialist and prescriptive regulation that guides how they act, rather than setting the limits of what is acceptable and trusting them to work it out. It’s a case of “mother knows best” when it comes to regulating NFPs. Some parts of this view do resonate. NFPs are special and different; they are not like business or like government. This needs to be accounted for in the way government interacts with them, including through regulation. The establishment of the Australian Charities and Not-for-profits Commission is an excellent example of government striking a balance between delivering fit-for-purpose regulation without being overly constrictive. This style of regulation can be beneficial, but it has its limits. There is a dangerous assumption embedded in the idea of specialist regulation: that regulation is necessary at all. Fundraising, for example, is regulated by state and territory governments. The duplication and inconsistencies that exist between jurisdictions cause delays, add complexity and stifle the sector’s ability to fundraise effectively and innovatively. In fact, the regulation of fundraising is largely unnecessary and most of it could be replaced easily through minor amendments to the Australian Consumer Law. Despite this, the current regime wastes an estimated $15.8 million in charity resources every year and, for that, appears to achieve very little. Some regulators are reportedly even considering mandating the publication of fundraising ratios, such as the percentage of donations applied to charitable purposes compared with “administration”. However, research produced by the Australian Centre for Philanthropy and Non-profit Studies in 2014 found that “for all but major donors, financial ratings of charities are not a consideration in the donation decision-making process”. Imagine a patient going to the doctor with a cold. At the end of the consultation, the doctor hands over a bill for $50. It is $13 dollars above the Medicare rebate and the patient asks: “How much do you spend on administration in this practice?” It sounds rude; perhaps even farcical. After all, surely what matters is whether the standard of medical care is worth the expense, and there are better measures by which to evaluate a medical practitioner. Consumer experience or improved health outcomes are much more insightful performance indicators than administration costs. Ultimately, the consumer decides what information is most useful to them in their decision-making. Traders live and die by their ability to identify and respond to these expectations. Make no mistake, most NFPs are or will become traders. But some regulators of NFPs are considering making reporting on indicators such as “efficiency” mandatory, effectively preventing NFPs from responding flexibly to the needs of their stakeholders. It’s an unhelpful and misdirected trend that sells the NFP sector dramatically short. There are a number of influences behind this, but the way government regulates and interacts with NFPs plays a significant role. A recent proposal from the Australian Accounting Standards Board (Exposure Draft 270) suggested a mandatory standard requiring NFPs to report on their effectiveness and efficiency in achieving their outcomes. The proposal has been broadly rejected by the sector. Government’s requirements around how NFPs report ultimately influence the community’s perception of the sector. Through regulation such as this, government dictates how we should assess the performance of NFPs, rather than allowing NFPs to respond flexibly to the needs of their stakeholders and allowing them to reach their own conclusions. As they do, for example, in the private sector. “Efficiency” is only one metric by which an NFP might be judged, but which, owing to the diversity of the sector, rarely illuminates anything meaningful. Social service providers cannot be compared with cloistered religious orders in terms of efficiency. That is not to say that NFPs are not rigorously seeking out this sort of data of their own accord. 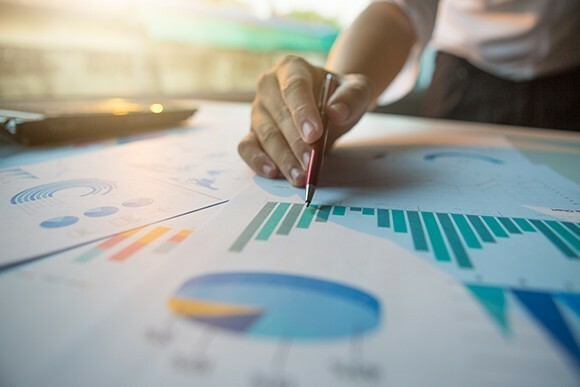 Many NFPs collect and analyse performance information to make evidence-based decisions and provide it to their stakeholders as a means of demonstrating their impact – without government requiring them to do so. In addition, NFPs are striving to do better. The AICD’s 2015 NFP Governance and Performance Study found that 60 per cent of boards are seeking more and better non-financial performance measures. This kind of information is common among the reports of listed companies who choose to demonstrate their value not only in terms of their profitability, but also customer satisfaction, market share and more. Why do they do this? There’s nothing clever about it. They learn, understand and respond to the needs of the information’s users. They are able to because government doesn’t onerously interfere in their doing so. The challenges our communities face are increasingly complex. To meet these challenges, cross-sector collaboration will be required, together with innovative approaches, and broad engagement with and support from the community. Underpinning all this, the sector requires a genuine partnership approach with government, which begins with a fit-for-purpose regulatory regime. Giving NFPs the opportunity to test themselves in the market, to be both competitive and collaborative, is part of the story of how the sector rises to meet these challenges. For NFPs to succeed in their aims, the potential benefits of market-based approaches must be balanced against the need for effective and flexible regulation to support this. The risk is, without an appropriately modern, light-touch and nationally-consistent regulatory regime, the benefit to government will be translated into a cost for NFPs, which will flow on to the communities they serve. NFPs deserve better, and sadly while government has the privilege of shopping around for the most attractive provider, the luxury doesn’t extend both ways. 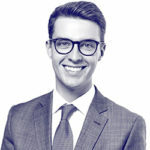 About the author: Lucas Ryan is the Not for Profit policy adviser at the Australian Institute of Company Directors (AICD). He was a foundational staff member at the Australian Charities and Not-for-profits Commission with responsibility for governance policy and education, and stakeholder engagement. He is a graduate of the AICD and has held director roles on NFP and government boards. This article was originally published in the Company Director, August 2016.